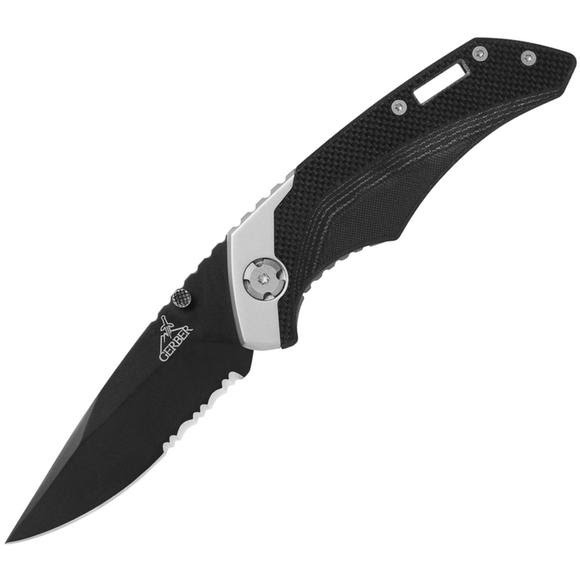 Gerber's Contrast's dual G-10stainless steel handle unites show-stopping style and high performance in a unique every day carry folder available in full fine edge or serrated blade. Gerber &apos;s Contrast&apos;s dual G-10stainless steel handle unites show-stopping style and high performance in a unique every day carry folder available in full fine edge or serrated blade. Overall Length 7.1", closed: 4.3"